For many by now the ultimate holiday experience: conquering mountains with the mountainbike. The Zillertal in Tyrol-Austria is absolutely the eldorado for the mountainbiker. It offers endless possibilities. 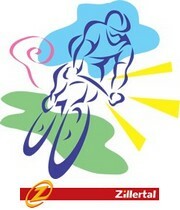 We can also recommend the Zillertal for the bikers who like to stay on the tarmac. We offer you to combine your family holiday with tours on the mountainbike or with tours on the road bike. An adventurous holiday with your friends in the Zillertal? We are ready and happy to meet you in our beautiful valley! which possibilities could be interesting for you and if requested organise this alternative program. From our house you have the possibility to make fantastic bike-tours (alone or in a group with or without accompaniment), while you family can enjoy the numerous attractions and trips the Zillertal offers and of course they will feel at home in our beautiful apartements. 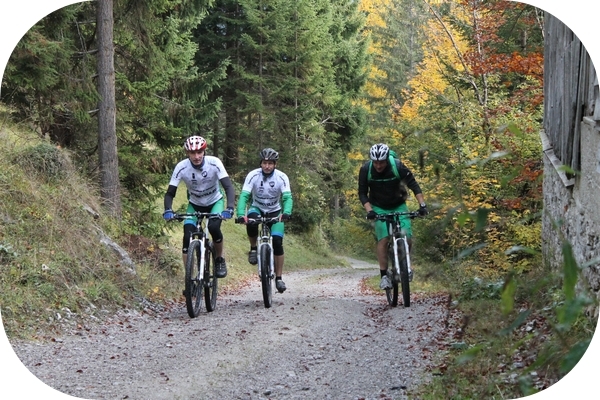 - Mountainbike tours (1-day or multiple days). You have the option to make the tours on your own or in a self composed group. We are happy to advise you about suitable tours and if desired we provide GPS-routes. We also offer the possibilty to make guided tours. - Trips with the road bike. You have the option to make the tours on your own or in a self composed group. We are happy to advise you about suitable tours and if desired we provide GPS-routes. - Mountainbike- and GPS-rental. You can rent bikes and GPS-devices. More about the rental and the conditions you will find here. - If you use your own equipment we have a space available where your bikes can be stored safely and where you can perform maintenance and repairs. +43 5283 29176 or +43 (0)664 73584079, by e-mail info@hausedelweiss-stumm.at or use our contact form on this website.